Robert Beck is the President and Partner of PinPoint Results LLC. Known in the halls of the Florida Capitol for his keen sense of the state appropriations process and public policy development, Robert is sought after for his ability to understand the strategic approach necessary for private, not-for-profit organizations, and government to achieve results and to successfully do business with government. Having served in both the private and public sector for more than 29 years, Robert’s appropriations and public policy experience crosses several disciplines, including Medicaid, Aging & Long-Term Care, Public Safety, Judiciary, General Government, Contract Management and Procurement, to name a few. 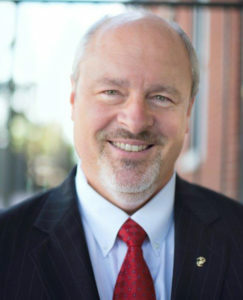 Prior to PinPoint Results, Robert served as the vice president of the Tallahassee Office of the Washington, D.C. based government affairs consulting firm, NSI, where he provided strategic consulting and procurement support for clients. Additionally, Robert has been responsible for “the bottom line” serving in key management roles with the consulting firms, KPMG and BearingPoint. As for the public sector, Robert served as Governor Charlie Crist’s budget director within the Executive Office of Policy & Budget, where he led the development of the Governor’s Annual Budget Recommendations for the State of Florida. He also served as the budget director for the Department of Children and Families; policy advisor to the Senate President on Appropriations and Medicaid Reform; and as the staff director for the Senate Appropriations Committee on Public Safety and the Judiciary. In 1992, Robert was appointed the director of the Division of Financial & Contract Management with the Florida Department of Elder Affairs. During this six-year stint, Robert managed an agency operating budget in excess of $250 million annually, driving systemic operating efficiencies throughout the agency, streamlining agency operations and reducing administrative costs. In addition, Robert spent time with the Pepper Commission on Aging and began his public service career under Governor Bob Martinez and with the Department of Highway Safety & Motor Vehicles. Robert is a member of the Florida Association of Professional Lobbyists, as well as the Florida Council on Aging. He served in the United States Marine Corps from 1980 to 1989, where he served with the HMX-1 Presidential Helicopter Squadron. Robert is an honors graduate of Auburn University with a bachelor’s degree in Public Administration. He resides in Tallahassee, Fla. In his free time, Robert enjoys fly fishing, hiking and gardening.